Life in general: I have been Mooned! 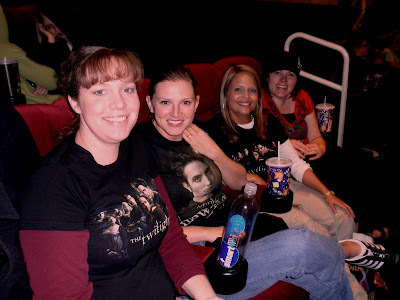 If you have had any contact with the media (newspapers, magazines, TV) I think you may have heard about the release of the second movie in the Twilight saga, New Moon! 3. Edward saying "Marry Me" and someone (not in our group) yelling "YES"